Guardians of the Galaxy: Meet Gamora–Thanos’ Daughter! 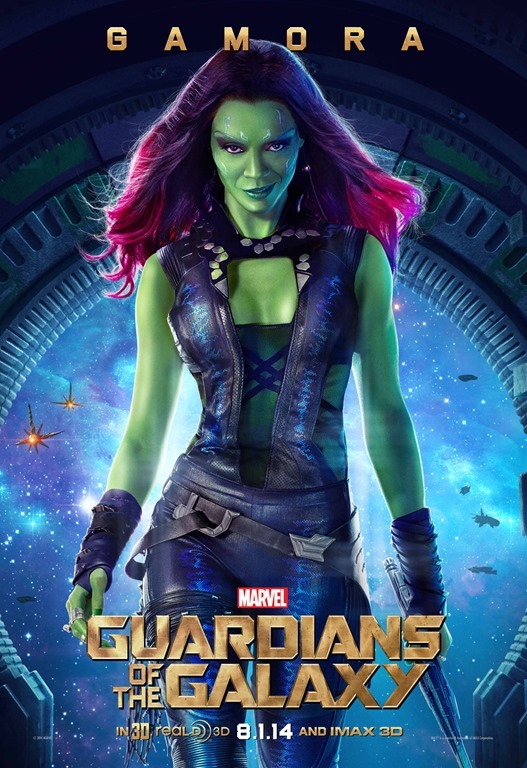 If there’s a woman in the galaxy you do not want to annoy, it would be Guardians of the Galaxy’s Gamora (Zoe Saldana). She is a highly trained, highly skilled assassin – and the daughter of Thanos (the guy who wants to marry Death and end the universe). Marvel Studios have just released a video to introduce Gamora. Check it our after the jump. Guardians of the Galaxy rockets into theaters on August 1st. Marvel’s “Guardians of the Galaxy,” which first appeared in comic books in Marvel Super-Heroes, Issue #18 (Jan. 1969), stars Chris Pratt, Zoe Saldana, Dave Bautista, featuring Vin Diesel as Groot, Bradley Cooper as Rocket, Lee Pace, Michael Rooker, Karen Gillan, Djimon Hounsou, with John C. Reilly, Glenn Close as Nova Prime and Benicio Del Toro as The Collector. James Gunn is the director of the film with Kevin Feige, p.g.a., producing. Louis D’Esposito, Alan Fine, Victoria Alonso, Jeremy Latcham, Nik Korda and Stan Lee serve as executive producers. Marvel’s “Guardians of the Galaxy” is written by James Gunn and Nicole Perlman and releases in theatres on August 1, 2014. Previous PostWorld Premiere Screening of Gotham and Wayward Pines Highlight Fox Fanfare 2014 in San Diego!Next PostYAHTZEE Gets Doctor Who Pandorica Edition for Comic-Con 2014!